Sonic Mania was released by Sega on August 15. 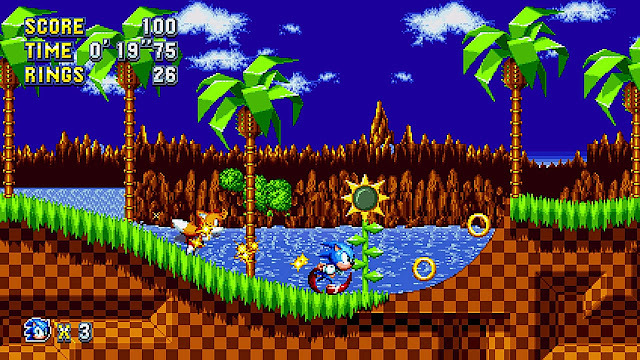 Sonic Mania is the ultimate exercise in nostalgia. Sonic the Hedgehog never escaped the 1990s the way his rival Mario did, so it only makes sense that he should give up his decades-long struggle to invent a new identity and just return to his roots instead. Sega – Sonic’s irresponsible, absentee parent – made this happen this year in such an unusual, unlikely way that it would have been an interesting story even if the result weren’t an absolute delight. The name Sonic Mania hints at more than just the excitement of Sonic fans' seeing their favourite gaming mascot back in the limelight (in a positive way for once). 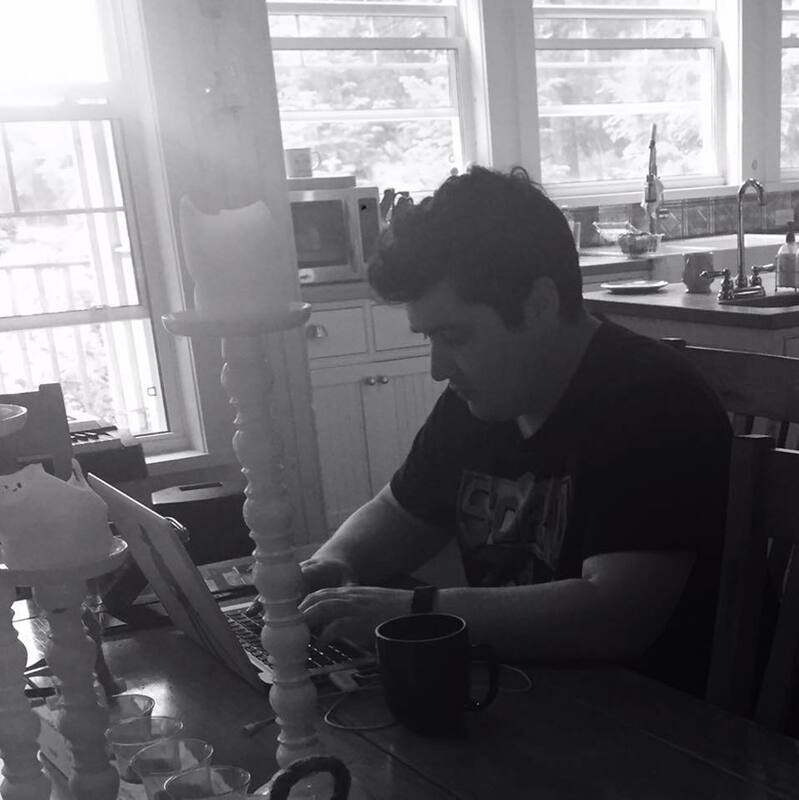 One of those very fans, developer Christian “Taxman” Whitehead, took it upon himself to design and program a Sonic game that both recreated and expanded upon the original Sega Genesis titles from his childhood. Whitehead was given the extraordinary chance to present his prototype to Sonic series producer Takashi Iizuka, who reworked Whitehead’s proposed title “Sonic Discovery” into something that reflected the singular nature of this passion project, something that was “by the mania, for the mania.” With help from indie developers Headcannon and PagodaWest Games, and with the blessing and bankroll of both Iizuka and Sega, Whitehead’s dream of creating a Sonic game that was worthy of the original series actually came true. I’m playing Sega’s Mania on the Nintendo Switch and the collision of these two gaming giants, formerly the most bitter of rivals, has never felt more bizarre – or more inevitable. The classic 2D platforming action of the Blue Blur and his friends is a sublime match for the portable, bite-sized gaming sessions that come so naturally to the Switch, and when docked to my TV, the screaming mid-90s colour palette splashes out of the screen in stunning fidelity. (There are even settings that apply a CRT filter to recreate the nostalgic fuzz of a tube-TV’s screen, just for the heck of it.) Some classic stages return – Green Hill Zone, Chemical Plant Zone, etc. – but are remixed in new and interesting ways, and come packaged with a roster of completely original levels that borrow from the best design elements of the 2D Sonic formula to create some wonderfully unique platforming challenges. Boss battles, too, are designed with a level of creativity that came as a complete surprise to me (one has you facing off against Sonic’s nemesis, Dr. Eggman, in a versus round of the classic Sonic spinoff Dr. Robotnik’s Mean Bean Machine). The result is a game that feels like it would have been right at home on the Sega Genesis, but which also offers suites of slick new functionality that make it modern and attractive to a fierce fan base that shows little patience for anything less than a full-throated hit. 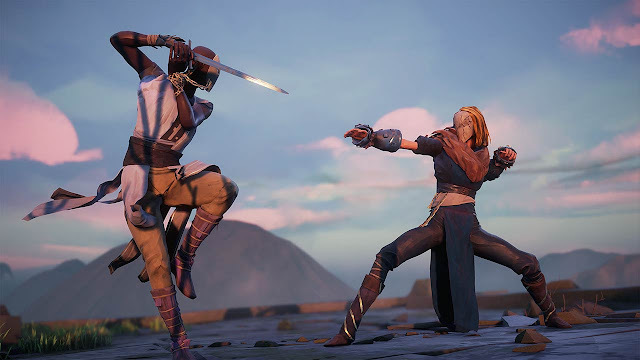 Absolver was released by Sloclap on August 29. Another indie project that braves the dangerous waters of a cut-throat market is developer Sloclap’s debut fighting game, Absolver. Designed to give players the experience of martial arts mastery, both through the accumulation of new techniques and the strategic execution of those moves, Absolver is limited in almost every sense except the one it promises: that you will fight, and fight hard. The game’s extremely limited low-poly graphics, dour and ill-defined art style, and lack of robust features make it clear that Sloclap was either unable or uninterested (or both) in creating an experience that offered anything more than its basic premise. This is both a boon and a bane: it speaks to a level of focus and dedication to Absolver’s core mechanic which shines through in its depth and complexity, but it also makes the experience as a whole feel hollow and incomplete. Absolver never claims to be anything more than an extremely detailed martial arts simulator, and it is certainly that: players choose a base fighting style (“Kahlt” style standing in for the rigid immovability of karate; “Forsaken” mimicking the rapid full-body strikes of kickboxing; “Windfall” representing the fluid grace of Ba Gua kung fu), and spend their entire playthrough fighting enemies in order to build a Combat Deck of moves atop it. There is no other gameplay. There are no sidequests, no secrets, no additional content to unlock or discover at all. No other modes exist, apart from multi-player face-offs that have been crippled by post-launch server issues. This purity of design is admirable, but it also makes it difficult for me to return to Absolver, despite the ferocity and fidelity of its combat gameplay, which doles out victory and defeat in equal helpings. I’ll return to its world and see the story through – if the flimsy framework upon which the game’s world hangs can indeed be called a “story” – but I’m not sure I’ll be able to recommend it until Sloclap sees enough success to be able to support their focused, well-honed fighter with some more stuff to do. Pyre, by Supergiant Games, was released on July 25. 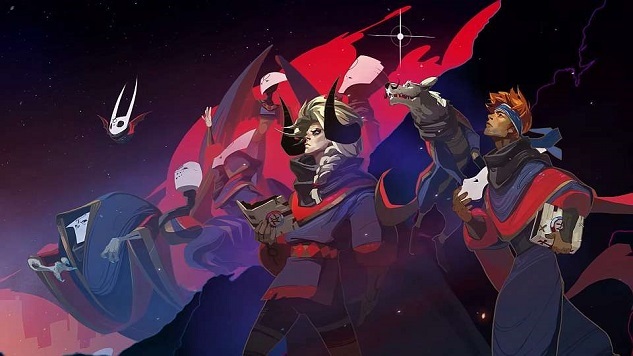 The indie darling that has most captured my heart this summer is one that’s similarly difficult to recommend: Pyre, the latest title from Supergiant Games. Like Absolver, its gameplay is extremely limited, and it offers little in terms of variety. But unlike Absolver's, its presentation is rich in artistry and grace, and its story is among the most resonant I’ve experienced in any game – making its shortcomings pale in comparison to its seductive charms. More than half of your time in Pyre is spent enjoying (or suffering through, depending on your inclinations) a text-based story that more closely fits into the “visual novel” genre than the type of fully-voiced or fully-animated narrative most gamers are accustomed to. The world that Pyre depicts is a gorgeously realized fantasy hellscape called The Downside, in which squads of Exiles must survive and compete against one another in a series of ritualistic, almost religious Rites that may one day win them their freedom, so that they may return to their homeland called The Commonwealth. The Rites themselves represent the more full-bodied gameplay that Pyre offers, where you control three of your Exiles in what can only be described as a bizarre form of animated fantasy basketball. Steeped in dire circumstance and emotion, your attempts to fling a celestial orb into your opponent’s ritual pyre (hence the name) quickly shed their initial sense of silliness and take on a sense of profound import. The Rites are not games, and they are not “played” but performed dutifully, and with serious consequences. The game will continue if you do not triumph in a Rite, but losing too many will start to gravely impact the difficulty (and length) of your journey. The framework of Pyre’s gameplay is interesting to note: in the world of The Commonwealth, literacy is outlawed. 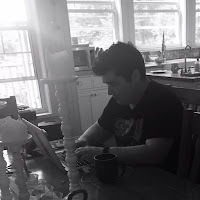 The world thrives on oral tradition and the cultural worship of beings called The Scribes, who laid down the rules of the Rites so long ago that nobody thinks to question them. You play as a nameless, voiceless Exile called “The Reader,” so-named because only you can interpret the pages of an ancient tome that details the history of the Scribes. I find Pyre difficult to recommend because I know most gamers are loath to spend their gaming time reading, instead of engaging with something more action-oriented – but in taking that attitude, those gamers miss out on storytelling like this, which is startling in both its own internal consistency and its meta-textual agility. A game about reading which asks you to read, so that you and the Reader can unlock more knowledge about the world . . . if there’s something more purpose-built to capture my heart, I haven’t found it. Of course, a rich setting wouldn’t be enough to support a text-based narrative for the fifteen-odd hours of gameplay that Pyre offers. Its cast of characters ensured that I kept thinking about the game, and kept returning to see – and to determine – how their fates resolved. The fantasy races of The Commonwealth, from the industrious dog-like Curs to the waterlogged Wyrms to the humans who have spent so long in The Downside chasing their freedom that they have become corrupted curly-horned Demons, are all richly drawn and operate on their own unique cultural biases, alliances, and modes of thought and speech. These racial tensions and differences deeply inform the characters who make up your Triumvirate, and as you progress with them through The Downside in your rickety little wagon, you are given the opportunity to explore their personalities, their desires and fears, and their motivations for seeking their freedom. I loved and knew each and every one of them, as one loves and knows the characters in a favourite novel. Supergiant Games has become known for the surprising sensitivity and clarity of their fictional worlds, and Pyre is unequivocally their most triumphant work to date in this regard.